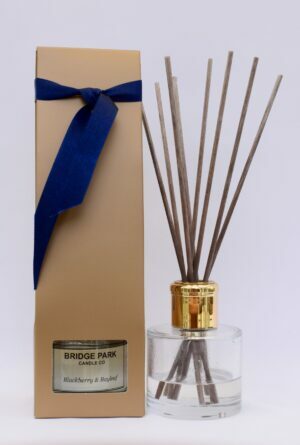 Opening notes of spicy pink pepper, cardamom, frankincense and a hint of citrus are followed by fruity pomegranate, a touch of clove, patchouli and Casablanca lily and finished with base notes of sultry amber. 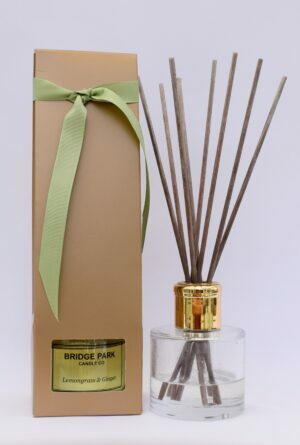 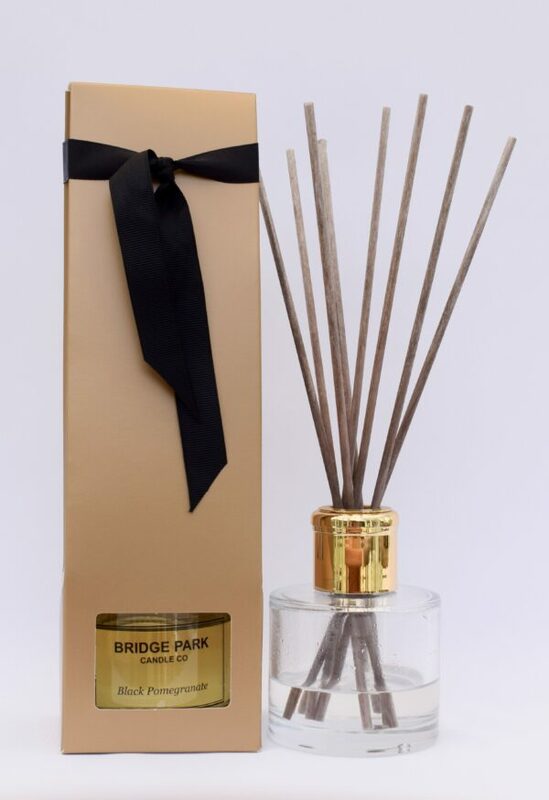 Presented in an elegant gold box and tied with a black ribbon, our luxury Black Pomegranate Reed Diffuser will provide you with months of continuous fragrance in any room. 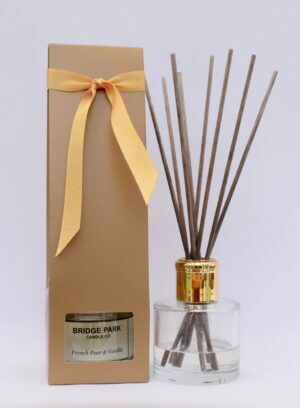 We suggest you place all of the reeds into your diffuser upon opening, and simply remove one reed at a time if you wish to reduce the intensity of the fragrance.